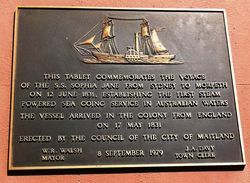 The tablet commemorates the first powered sea going service in Australian waters from Sydney to Morpeth by the S.S. Sophia Jane. Sophia Jane arrived from England in May 1831 after being built in 1826. She was 153 tons and had one engine of 50 horse power. 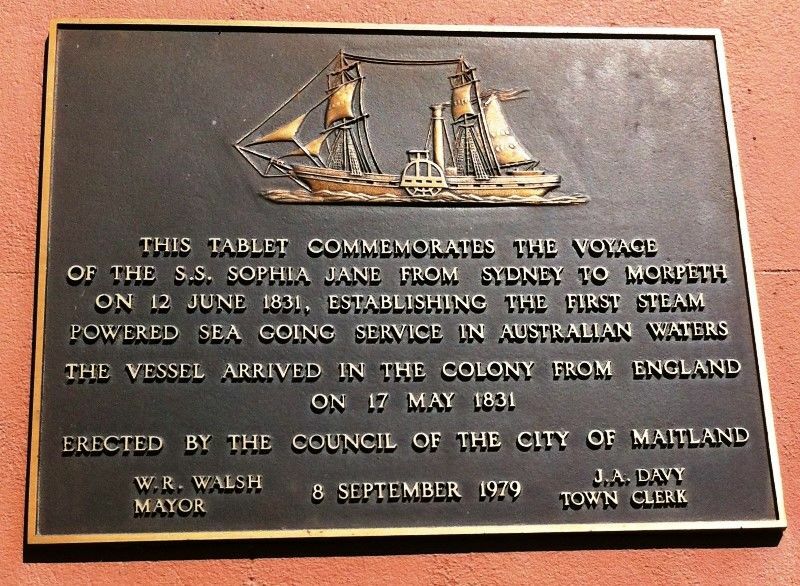 While the Sophia Jane was having her paddles fitted in readiness for her maiden voyage, another steamer the Surprise, making its first voyage set off for Parramatta on 1st June 1831. On June 19, 1831, the Sophia Jane with her engine and paddlewheels re-instated made her first coastal run, arriving at the Port of Newcastle only eight hours after leaving Sydney. For fourteen years she operated regular services from Port Jackson to other ports. She was also the first steamer to port at Wollongong and the first at many ports up and down the coast. 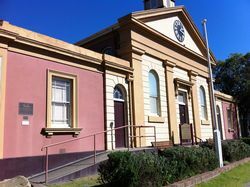 Erected by the Council of the City of Maitland.